The Nokia N810 comes from the Internet Tablet breed, in other words, it’s a device tweaked for Web browsing, or, putting it simply, a portable Internet browser with a handful of multimedia features thrown in for good measure. However, most consumers have a very vague idea of such gadgets, be it from Nokia or any other manufacturer. 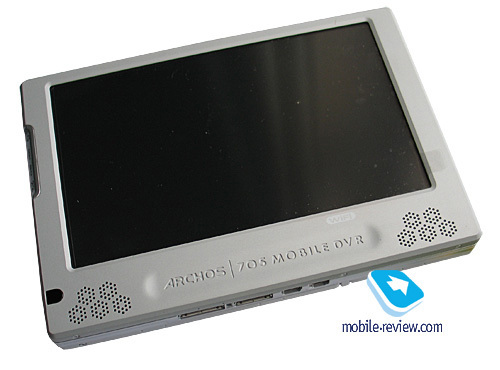 Notwithstanding, the market for Internet Tablets is booming world-wide, and we can easily attribute pockets PCs, like UMPCs, as well as multimedia players (Apple Touch and the likes) or some PMP devices along the lines of the Archos 705 to it. The underlying stimuli behind this multitude of devices that keep coming along these days is that mobile access to the Internet getting increasingly popular, so every maker strives to enhance his key solutions with this undoubtedly very hot feat. For instance, Apple has beefed up the standard iPod functionality and rolled out a couple of products at once – the Apple iPhone and Apple Touch. Philosophy-wise, these two are pretty much in one league, although the latter is the market’s finest player, very capable as far as video goes at that, whereas the former is a quite meager handset that has had its functionality pared down. Archos has been exercising the PMP-based approach and tacked the abilities more characteristic of internet tablets to its top-of-the-line solutions. Plus, ultra-portable laptops like the Asus EEE PC can well struggle for consumers’ attention too, along with other devices. If you skim through the latest topics that have popped up on various forums recently, you will surely come across a ton of face-offs and duels between the Nokia N810and Asus EEE PC – given their pretty much identical price tags and more or less comparable dimensions; in effect, these two, in the eyes of the average Joe, do the same things. So the choice is not all that clear-cut and there are different options to pick from. The variety of device types aimed at one particular niche normally signifies that this market is currently emerging. It is always amusing to observe how a fancy trend suddenly turns into a must-have technology buzzed on every corner, and everybody seems to like it, trying to put it into use literally everywhere. This way, mobile Internet is currently available with cellular phones (where it’s appropriate), PMPs, laptops, gaming consoles like the Sony PSP etc. Access to the web is also “enormously important” in household appliances – TVs with this feature onboard are already out there, just pull the plug in the socket, tap into a wireless network and you are good to go. I ran into these marvels in some hotels; however I never felt any urge to use them at all: with no keyboard and letter-by-letter input it seemed like a very awkward experience. The things that used to be jokes and anecdotes, like Internet in your fridge’s door, are getting more and more real today, and what’s more, some people actually buy these gimmicks. When the fever all these markets go through in the beginning falls back, the number of devices there will shrink accordingly, and their functions will sway more towards particular fields and applications, like music players won’t be allowed to browse just about any page on the web, but rather some specific resources for tunes, videos and articles. This way, your fridge will still be able to order out, but I guess you will prefer to get it jam-packed with food in a more conventional fashion. It is a portable solution, slips into a jacket's pocket with ease. Comes with a touch-sensitive display, making a full thumbboard rather an optional feat than a must-have. The Web is accessed over wireless networks, like Wi-Fi. The device is tweaked in the way to provide desktop-grade browsing and render pages in a conventional fashion. It boasts a bundled mail client, allowing the user to receive e-mail, look through it and reply. Battery time – 1-2 days with average use. 3-inch plus diagonals, though 4-4.5-inch units will soon become par for the course. If it wasn’t for the last condition, just about every mobile phone would have qualified as an “Internet Tablet”. But I want to emphasize that like any other market, this one also has some “in-between” products, like a top-notch handset can look like a lower-end Internet Table on most major accounts and as a trade-off retain pretty much similar dimensions. However this fusion between different device classes will be rather an exception from the rule. Has market seen a great many of such devices to date? 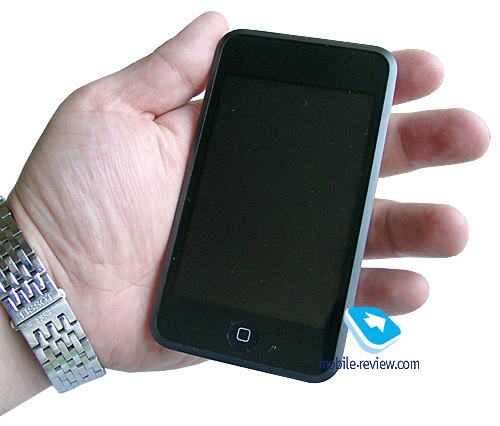 By no means, but we can come up with a couple of names right away – the Nokia N800, Nokia N810, Apple Touch. All these gadgets come from one generation and are underpinned by the same ideas. 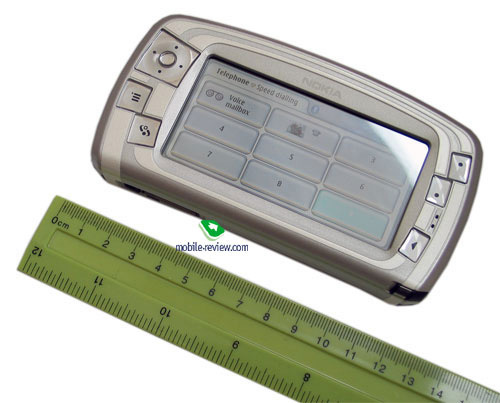 Also, I would like to use this opportunity to dispel the myth regarding the Nokia N810 – it is not a follow up or a successor to the Nokia N800; technically, it simply expands the maker’s portfolio and that’s about it. Just like there are QWERTY-enabled phones and those without it. These two products share the platform and most technical solutions, furthermore, the Nokia N800 comes preinstalled with the same operating system - Linux OS2008, so the differences between the two effectively come to very slim margins. No doubts, they do differ on some fronts, plus their user experience is different, but at the end of the day they both belong to one generation with all their technological talents, hardware platform and software. 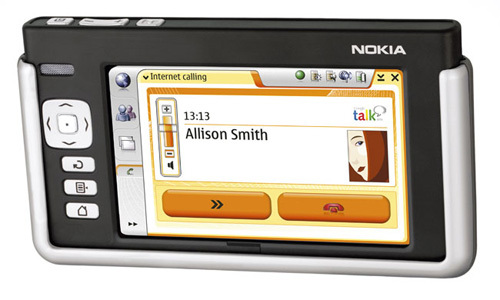 The very name of this segment was first offered by Nokia with its 770 Internet Tablet device. The maker has been sneaking around this market for a long while – having created the communicator range (9000 series), Nokia thought that conquering the market for web-savvy devices wouldn’t hurt either. However the transition from communicators to Internet Tablets wasn’t straightforward, they had to make another stop along the way and called it Media Devices. When they initiated the development of the Nokia 7700 back in 2002, they encountered certain problems with touch-based data input and overall speed of the device. 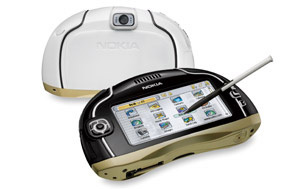 In fact, it was so slow, that after two years in the maker’s workshop it was still good only as an offering to Nokia’s partners in 2004, and there was no way to grab it in a retail store. Around the same time an overhauled edition of that device, more precisely the Nokia 7710, made it to the market, the last Series 90 powered product among all other things, after which Nokia switched to the S60 and never came back. When the 7710 arrived it was a known fact, so this already-dead branch garnered some following only among mobile enthusiasts and techi, who have always been keen on this sort of phones. The experience of Media Devices didn’t end up in vain, though – they revisited the functionality of this device type, and so as to break up with these lackluster products once and for all they introduced a new title – Internet Tablet. However even the solution this range kicked off with, the Nokia 770, evidently stemmed from the Nokia 7700, the first device designed with this concept in mind. 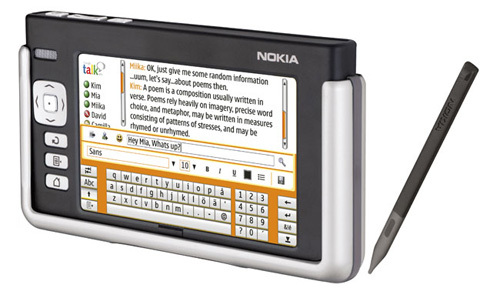 The 770 was a true black sheep in Nokia’s portfolio, for it was running on Linux, whose version employed in the tablet was titled “Internet Tablet OS2005” (it is Maemo’s Debian/GNU/Linux). Curiously, solely in order to develop this OS, or, better to say, attune Linux to portable devices, Nokia established “Maemo”. The Nokia 770 was announced in May 2005, and arrived in the market later that same year, on November 3rd. While it is wasn’t exactly a bestseller, the 770 wasn’t a bust either – it caught some curious eyes, although from a consumer’s point view it was pretty sluggish, buggy and lacked features (like PIM) available with other devices. However, this platform proved to be credible for trying out new solutions and getting software developers on the hook. As far as its hardware department goes, the 770 built upon TI OMAP 1710 with the ARM9 CPU running at 252 Mhz. The device shipped with 64 Mb of RAM and 128 Mb of flash-memory with half of this volume reserved for user data. It also sported an RS-MMC memory expansion slot, which was par for the course for mobile devices back then. Since the 770 had Wi-Fi (802.11 b/g) connectivity chucked in, it was the epitome of “power-hungry”, forcing the engineers to arm it with a 1500 mAh battery. Originally the product was meant to handle various peripherals, that’s why it came included with Bluetooth (version 1.2), miniUSB that could work in the Host mode (passive). 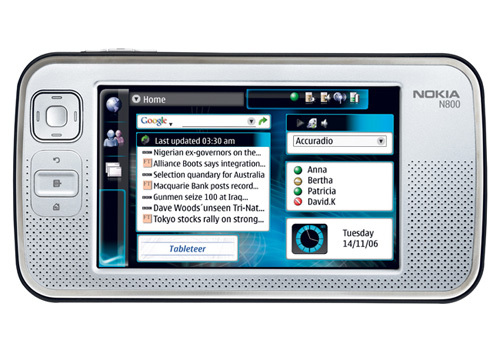 The Nokia 770 heralded the core design principles for Nokia’s Internet Tablets, as well as for some S60-powered solutions. The 770 measured up at 141x79x19mm, weighing 185 grams, and packing in a 4.1-inch diagonal with a resolution of 800x480 pixels (65 K colors). The phone came packaged with a plastic stand, similar to the one found in the box with the Nokia 7710. Early in 2006 Nokia got fist feedback (both positive and negative) on the 770’s operation from users. While it could well act as a multimedia-ready device, it came equipped only with a sole loudspeaker, plus the quality of music played back via headphones was quite average, and video conversion was mandatory, so as to allow the 770 play these clips. All in all, there was a truckload of limitations, but the developers addressed some of the complaints, so that summer 2006 saw the final version of Internet Tablet OS2006, which was faster, came with an on-screen keyboard for finger-based input (in addition to stylus-oriented), VoIP support and a built-in Jabber client. Then November saw a minor update to the OS, packing in an assortment of new widgets, including the search line for the standby screen. With its 770, Nokia made it clear that they are serious about this platform and had some plans for it too. 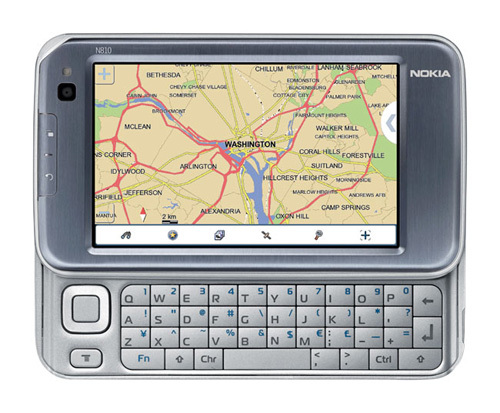 In October 2006 the market welcomed an external GPS receiver for the Nokia 770 and navigation software to run with it. Furthermore, Maemo presented old-school fans of the Nokia 770 with a special version of the operating system - Tablet OS2007 Hacker Edition that could be installed on the “aged” 770. 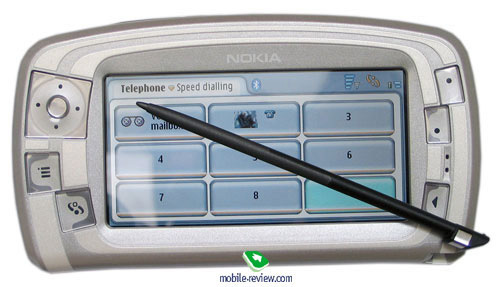 Wrapping it all up, the Nokia 770 was the first Internet Tablet device ever and set the guidelines for the models to come. When it only got released into the wild, the 770 retailed for around 370 Euro. In January 2007 at CES held in Vegas, Nokia rolled out the second generation of Internet Tablets, along with the first solution to embrace its power – the Nokia N800; and the new OS version - Internet Tablet OS2007. Changes of note included the TI OMAP 2420 chipset along with an ARM11 CPU running at 330 Mhz. What’s interesting, the real clockrate of the processor topped out at 400 Mhz, but due to some software-related restrictions it had to be downgraded and the unlocked only with the release of Linux Internet Tablet OS2008, which is now available for the Nokia N800. 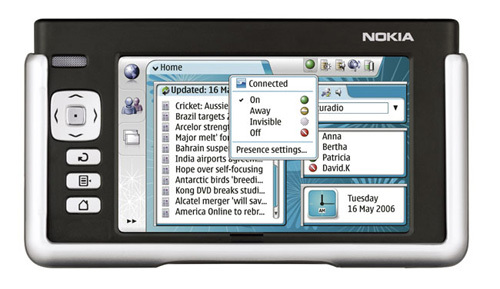 Basically, undocumented and hidden features were what the Nokia N800 was all about – that is, the default suite of applications had no radio included, but it didn’t take a group of enthusiasts too long to find this ability in the N800, leaving Nokia no other choice but include FM-radio into the N800’s standard feature-pack. 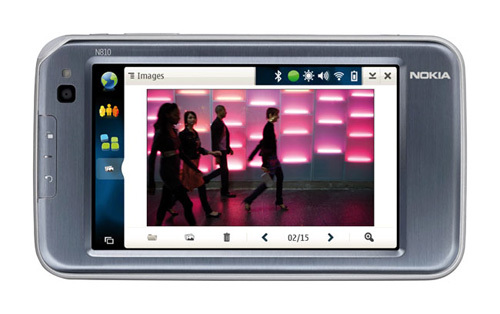 Although it seems they just wanted to keep it on the backseat until the debut of the Nokia N810. The best thing about the Nokia N800 is that technically it was so much like other S60-based solutions running the OMAP2420, but at the same time it came bundled with the display carried over from the Nokia 770 – 4.1-inch big, sporting a resolution of 800x480 pixels (65 K colors). Putting icing on the cake were its 128 Mb of RAM and 256 Mb of flash memory. Also they mounted two full-size SD memory card slots (supporting high-capacity units up to 16 Gb) – one was located inside the N800, while the other could be easily accessed without having to open the tablet. It may seem like a gimmick, but the thing is, there was a possibility to increase the volume of virtual memory with a memory card, so that’s why they needed one to stay inside the device permanently. The phone also boasted two stereo-speakers, a VGA camera that was pulled out of the casing and could rotate 360 degrees, a standard 3.5mm audio jack with support for both Nokia’s headsets and earphones from other makers; on the connectivity front it showed off USB 2.0 and Bluetooth 2.0 with no inherent support for A2DP, which was addable with the help of third-party utilities. Other key improvements included Skype support, Opera as the N800’s main browser and Adobe Flash 9. The multimedia player got a couple of improvements along with support for some new formats; the N800 also came preinstalled with an RSS reader. Curiously, all this was packaged in a casing that was almost as compact as the 770 at 144x75X18mm and 206 grams. 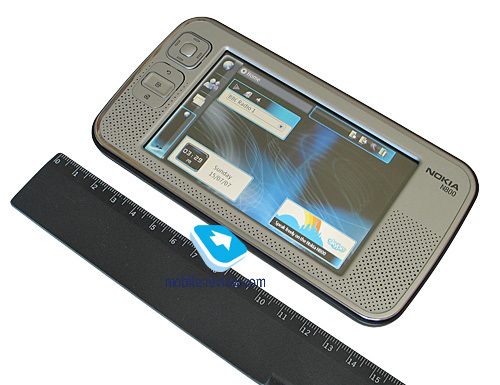 Among notable design parts of the Nokia N800 was its built-in foldable stand that allowed the user to put the device on any flat surface and use it for browsing, video, etc. Moreover, given the ability to attach a conventional thumbboard to the device, this setup looked even more appealing. By and large, the year of 2007 was very crucial for the development of Internet Tablets, when the market saw an array of third-party applications for the OS they were running on. The Nokia N800 went for about 399 Euro (399 USD in the US) in January 2007 when it saw release. 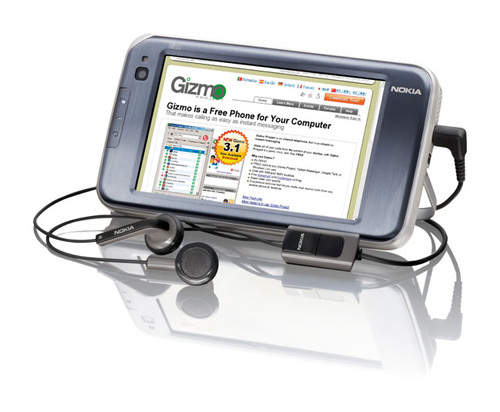 In October 2007, Nokia introduced the third Internet Tablet solution – the Nokia N810, that eventually went on sale in December of that year, but became widely available only in early 2008. Spec-wise, it builds upon the same platform – the TI OMAP 2420, however it has undergone a handful of big changes. That is, the maker has dumped the hidden memory card slot in favor of 2 Gb of inbuilt storage; they have also allowed the remaining SD slot to handle memory cards up to 32 Gb, which isn’t all that bad after all. 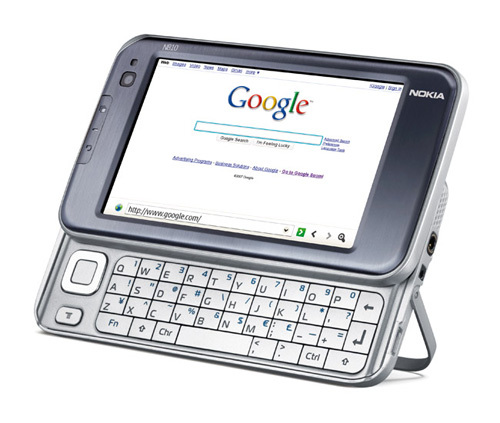 Other things of note include the form-factor of the N810, since it is a side-slider with a QWERTY-keyboard perched underneath. Plus it comes bundled with an ambient light sensor and a microUSB socket that took the place of the N800’s miniUSB. 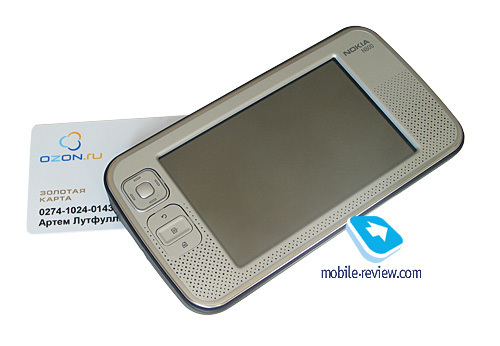 The market’s latest and greatest trend also required GPS capabilities, so the N810 had to live up to these expectations, coming with Maemo's navigation software (which is now a part of Linux Internet Tablet OS2008) on top of that. The N810’s multimedia player has been subjected to a major revamp, they have also ditched Opera for MicroB (based on Mozilla Gecko) as the tablet’s default browser, and refurbished the UI. But more importantly it is the first instance when an Internet Tablet device has had its display upgraded – now it features a mirror underlayer that allows it remain readable in the sun. 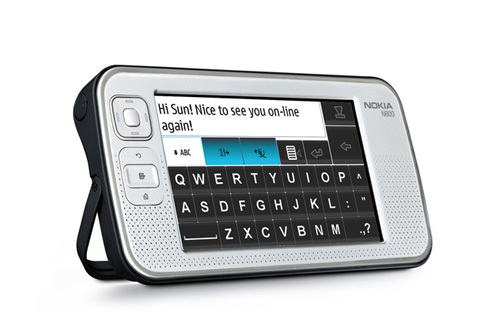 And otherwise, it is the same old N800, even the price hasn’t changed a bit – still at 399 Euro. Brought about as a promising branch, Internet Tablet devices became the proving grounds for quite a bunch of innovations that will be embedded into mass-market devices down the road. Specifically, these are the inbuilt stand, tactile feedback delivered by the touch-sensitive screen (also known as Haptikos), some other feats and skills. But does this mean that Internet Tablets are next to worthless as products and Nokia doesn’t bank on them? Not exactly. Internet Tablets are more of a joker that can come into play at the moment you least expect it. A relatively small dev team, prompt reaction to feedback, tiny line-up, direct connection between the OS and hardware plus the system’s easy-to-master SDK for third-party developers – all these things add up to serve as a solid basement for new solutions in this category, the ones that will be commercially successful at that. Originally, these devices were meant for the US market, since networks-wise it is the world’s leading region. However, the sales generated by tablets in Europe during 2007 were so good, that they won’t be focusing on the US as much down the road. Probably the next announcement, unlike the previous ones, will be held in Europe to signify the growing importance of this market. Interestingly, with its Internet Tablets the maker also gives the ability to manually update the operating system a try, plus introduces compatibility of older devices with new versions of the OS, which a fundamentally different approach, as compared to the smartphone market of today. And little by little they will be pushing it into their main portfolio as well. Nokia is trying to create a portable device for accessing the Web, easy communications, and, somewhere down the road, a complement to the mobile phone, a very potent secondary device. This seems to be a necessity, especially with other manufacturers gaining strength in this field, like Apple with its iPod Touch. But while pursuing these goals, they are trying to avoid direct comparisons with UMPCs and sub-notebooks, which have a couple of traits in common but in reality, comprise a totally different type of products. That is, Internet Tablets ignore business-savvy features, they have no support for MS Office documents (except for PDF) whatsoever, in fact, they can’t even open them. In the future, though, tablets should become capable of handling online applications for office documents, rather than their locally stored versions. All up, this device type is a prototype of a smart terminal – not a computer, yet not a handset already, plus they pack in decent displays as a welcome addition. This niche appears to have some potential, but where the market will go is being decided these days already – whether Internet Tablets will become widely adopted in the next few years, or they won’t make it as mass-market devices and will rather hand over their functionality to mobile phones. But regardless of the way it goes, Nokia’s Internet Tablets are among this segment’s strongest players today.